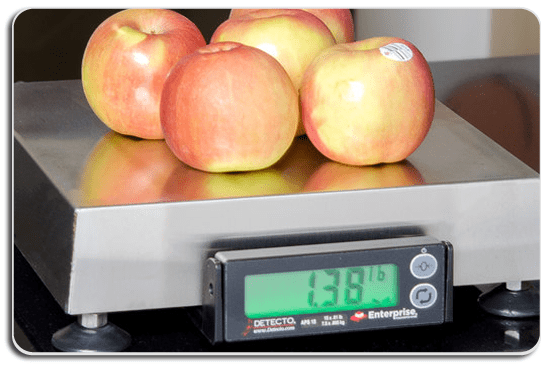 Weigh 'n' Print™ adds a scale to the standard i.Print™ printer. The system is easy to setup and use at a cost effective price point. For use, select product name on the i.Print™ touch screen. To obtain a weight, place the product item on the scale and when prompted the weight is recorded. Press print on the i.Print™ screen to print weight on a label - It's THAT easy. 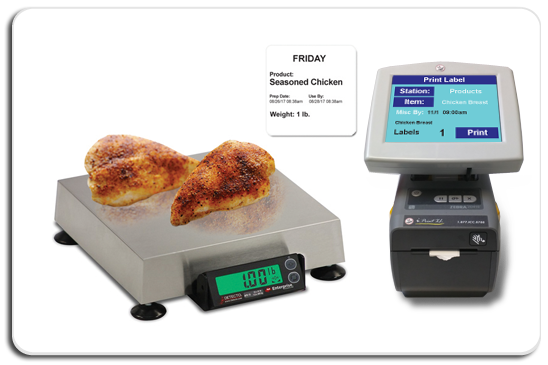 Weigh 'n' Print™ is designed for ALL food service. After product research, ICC found the most reliable food portion scale compatible with the i.Print™ printer. 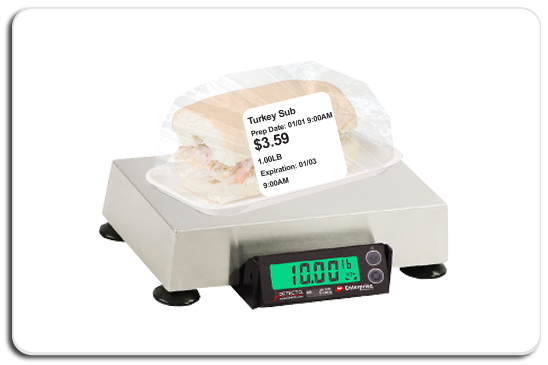 Weigh 'n' Print™ is most commonly used for portion food service labeling. The benefits of portion labeling are important for your bottom line. Recording weights of your products eliminates margin of error when creating product servings. This will guarantee your serving the right amount of product for maximum ROI. So what are you waiting for? Call 877.ICC.8788 today to learn how to implement Weigh 'n' Print™ into your food service operations. Feel free to send your product list today to receive a free quote on Weigh 'n' Print™ configuration.